A new era was dawning for a threatened clifftop commun-ity in Norfolk today as residents were on the brink of getting crucial support to pay for their own sea defences. 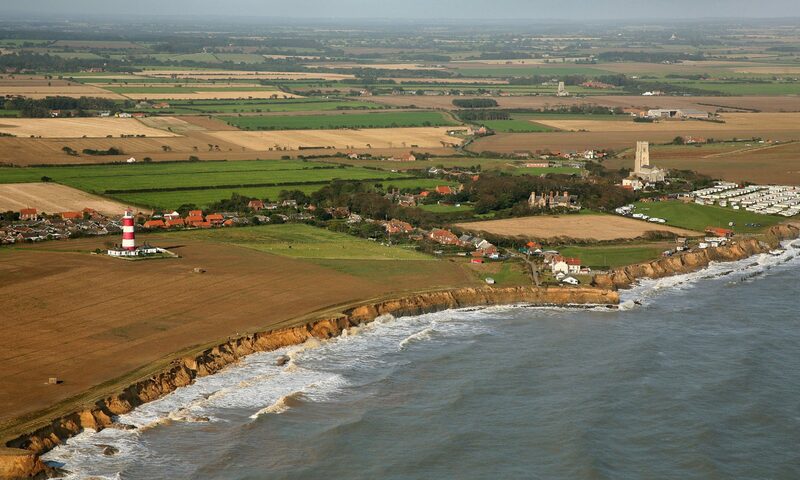 The do-it-yourself bid to turn the tide is likely to get the blessing of North Norfolk District Council after 17 years of failed attempts to get government cash to bolster the cliffs at Happisburgh. As a succession of houses were swallowed up by the sea, residents grew increasingly fearful that theirs would be next – so they set up Coastal Concern Ltd to raise money for the work needed. Today, the council’s cabinet is expected to give its support to the group’s bid to raise at least £750,000. And, in an unprecedented move, officers are urging members to agree to the council carrying out the work itself – using the money raised by Coastal Concern. The dual recommendation is crucial, as members of the public do not have the legal right to carry out sea defence work without council support. Last night, group spokesman Malcolm Kerby said if cabinet endorsed the move, it would be the “green light” for fundraising. He said a positive decision today would enable the group to begin to approach villagers and businesses for financial support, and to formulate a fundraising action plan. The potential breakthrough comes a few days after local campaigners were buoyed by supportive comments from environment minister Ian Pearson. The council has submitted a host of proposed schemes to protect the Happisburgh cliffs, but each bid has been rejected by the Department for Environment, Food and Rural Affairs (Defra). Ministers have said the value of the homes that would be saved does not match the potential cost of a scheme. The situation has echoes of that of Suffolk’s King Canute Peter Boggis, who dumped thousands of tonnes of soil and building waste on to the beach to stop his home from toppling off the clifftop. In November last year he had to abandon his efforts because of changes to waste management laws. Mr Boggis did the work at Easton Bavents, near Southwold, initially without the permission of Waveney District Council – while the Happisburgh initiative is being done in liaison with the council in north Norfolk. Today’s cabinet report says the council should carry out any work paid for by Coastal Concern “to ensure the technical criteria are met”.